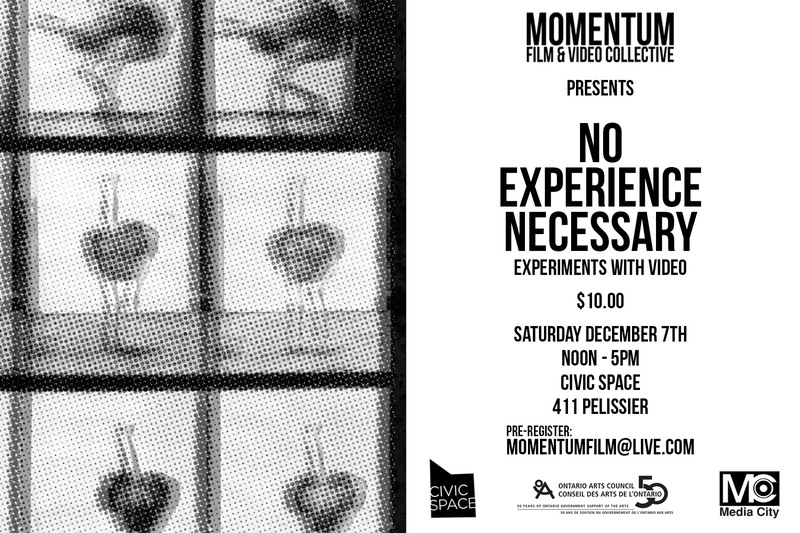 This workshop, hosted by Windsor’s very own Momentum Film & Video Collective and happening at Broken City Lab’s CIVIC Space, will explore several historical and contemporary concepts and practices of experimental video through screenings, discussions and a hands on video production and editing project. If you’re interested in digital and analog video, this workshop will help you sharpen your skills in visual experimentation and allow you a chance to create with others. We hope to see you there! Feel free to bring your own camera for shooting & computer for editing. There is a nominal fee of $10 to attend this workshop. Please pre-register by emailing momentumfilm@live.com. 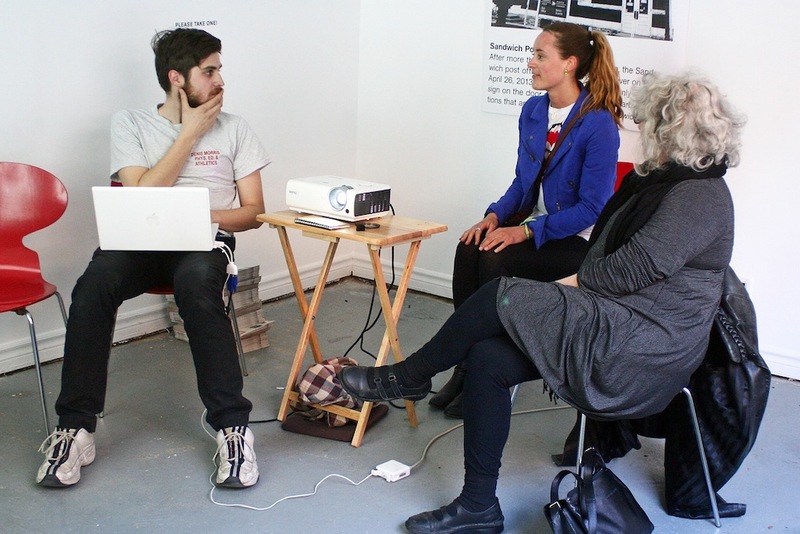 This past Saturday, CIVIC Space saw the first session of Desire and the City, the first of a two-part design workshop created by our friend Kiki Athanassiadis. 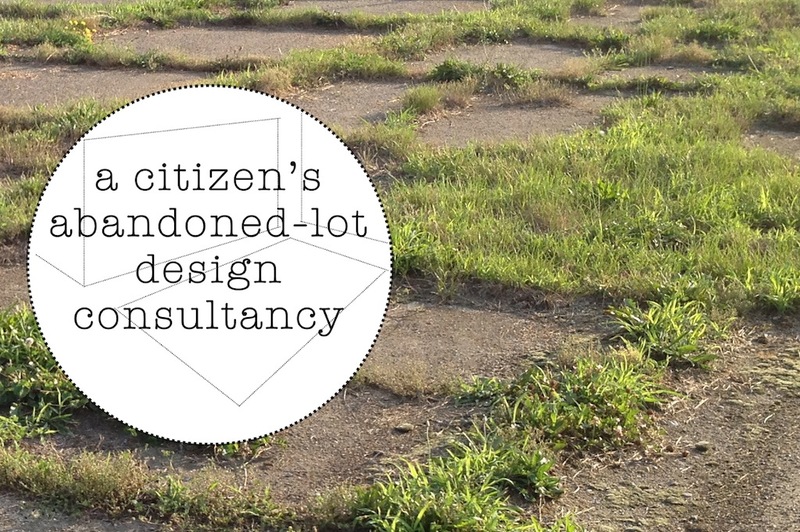 Kiki is interested in the potential that abandoned lots suggest, and since Windsor has many of them, there was an abundance of source material to pull from. She put together a kit for everyone to use; it consisted of survey forms to use at the abandoned lots, large black and white images of lots in Windsor, and images of objects printed on vellum that could be taped and overlapped. 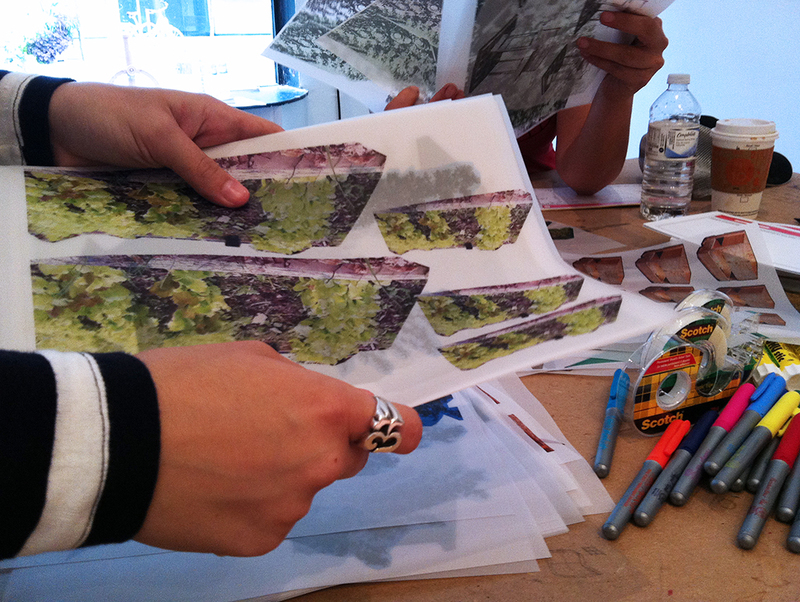 These materials allowed us to visualize our ideas in a very gratifying way (as you’ll see below). 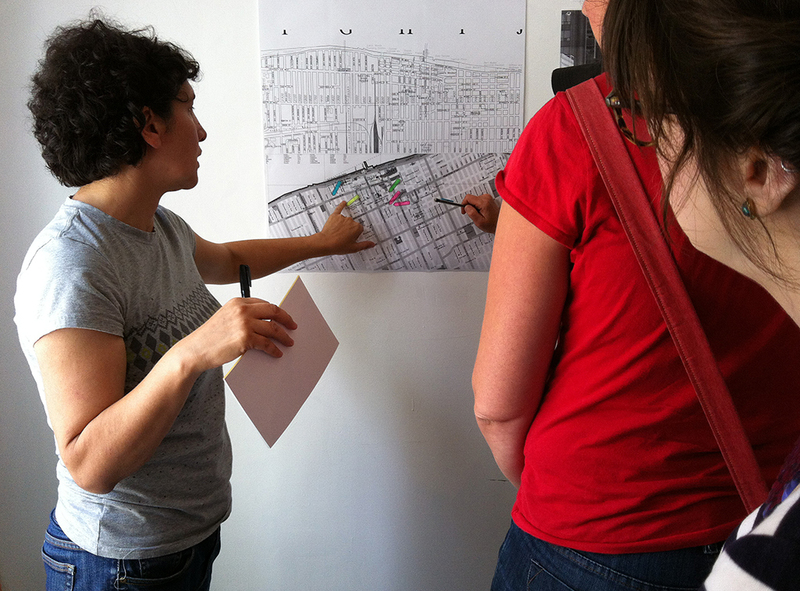 Kiki also posted some colour shots of general areas and a “master map” of where the sites are located in the city. 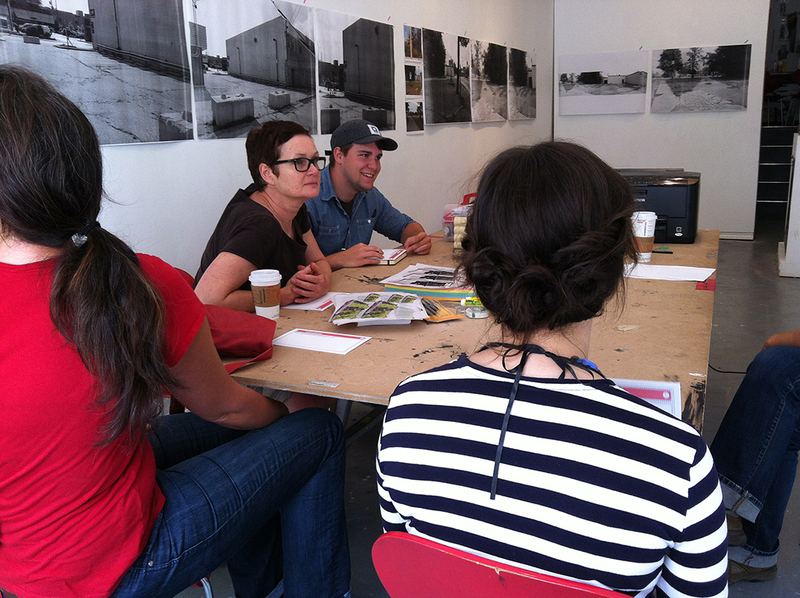 Here Kiki explains her survey forms and what we might want to note once we head out to our desired lots. After Kiki describes the project and the instructions for how the session will work, we start to think about which lots we might visit. Sara and I decided to go East and visit a lot near Caesar’s Windsor. Here’s a closer shot of the survey forms. They are about half the size of a regular sheet of paper and bound with a think glue. They’re nice. 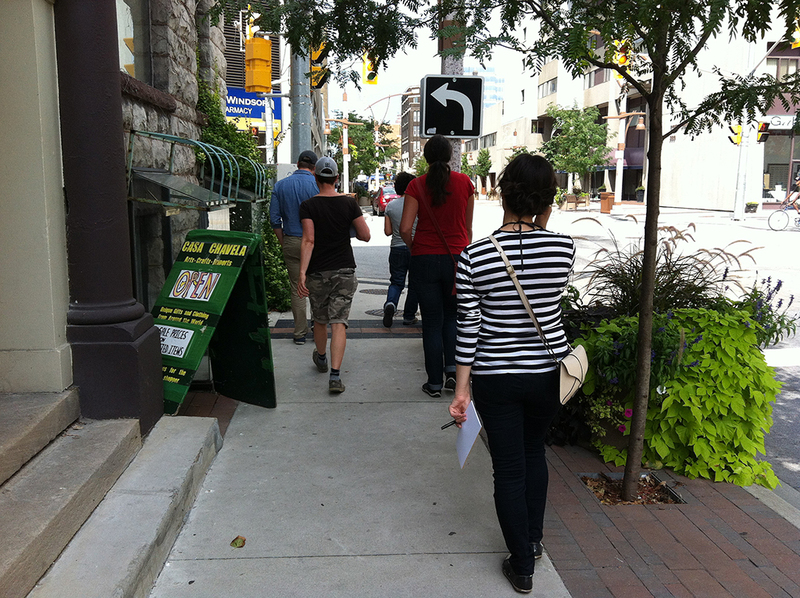 Kiki shows us where the lots she’s photographed are located in relation to the downtown core. …and we’re on our way. Most of the pack decided to head West, but we went East. Embarrassingly enough, I forgot to get a shot of the property we chose. It looked like it was for sale, but the real estate signs and wooden posts were left in a heap in the middle of the lot. 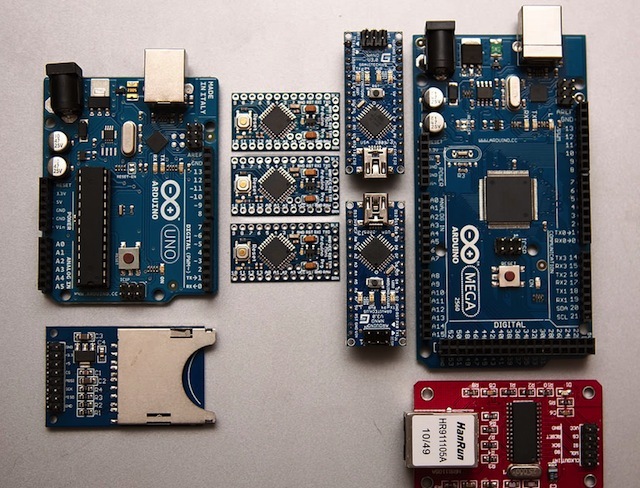 When we returned, we briefly shared our ideas. 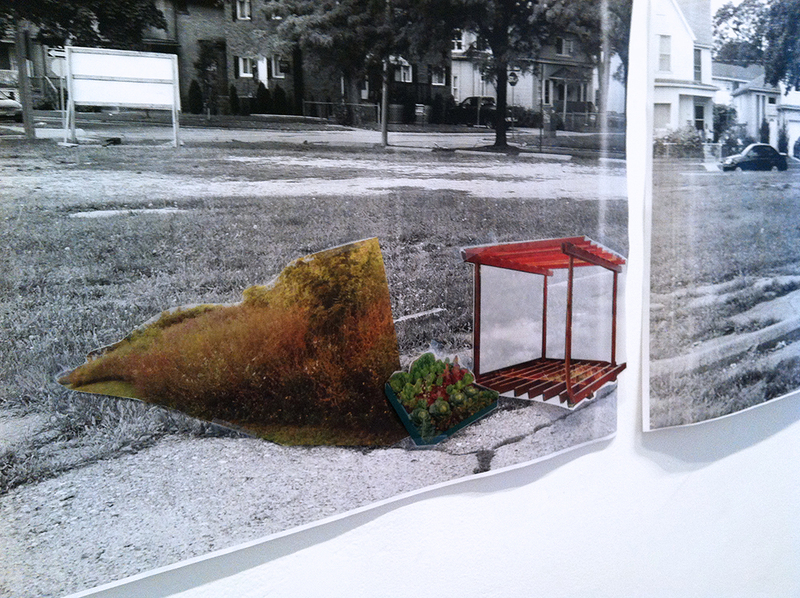 The ideas ranged from community garden proposals to a manmade volcano. 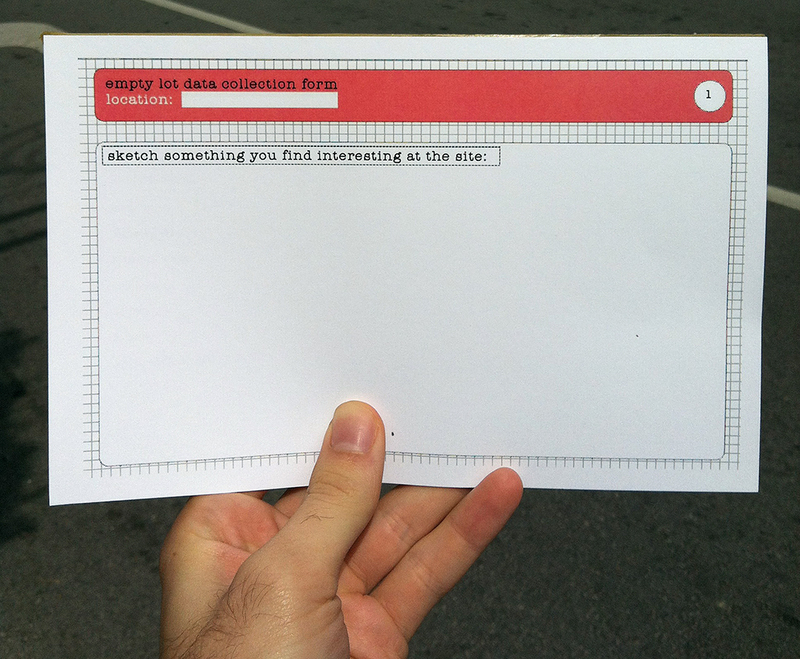 We used the pages Kiki laid out to mock up our ideas in space. Obviously, there wasn’t a volcano printout, but most people found what they needed in the stack. 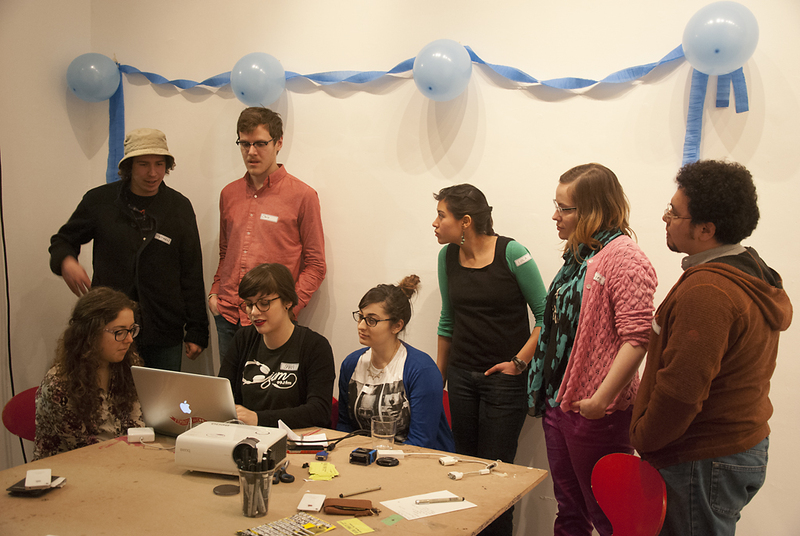 Everyone got really invested in his/her creation and, consequently, we didn’t realize how quickly time was going by. Here’s a little covered garden / naturalized area tucked into the corner of this lot. 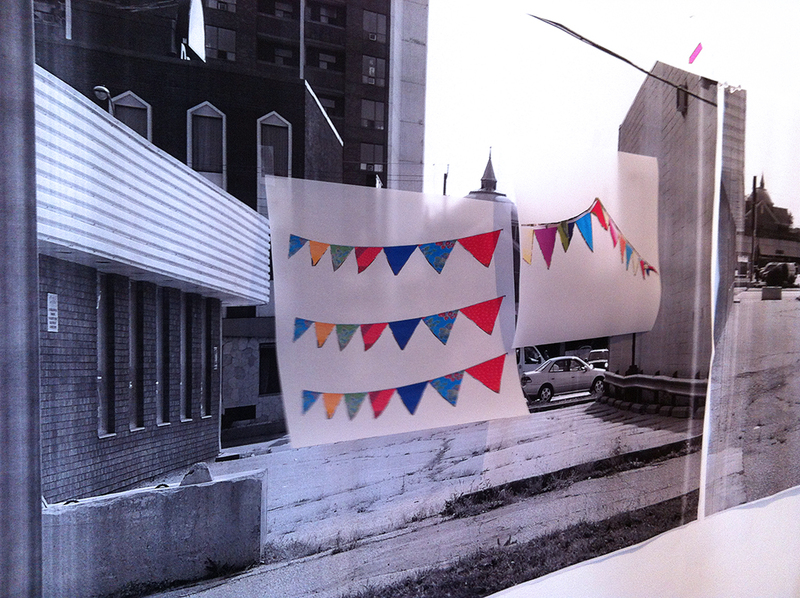 Here is a celebratory lot between two commercial spaces, complete with bunting and all. I didn’t know a pallet pathway was a possibility until I saw this idea. The pallets could also be filled with something, or be used as planters. Here’s something you don’t see enough of: public tree houses. There really isn’t a compelling reason why something like this couldn’t exist, besides the issue of accessibility. It also looks like the main treehouse is a garden…interesting. 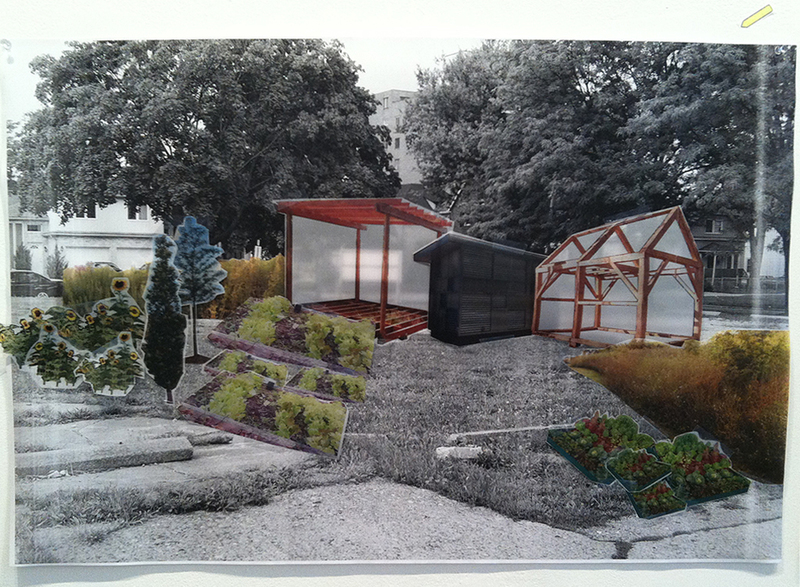 Here is a pretty serious community garden proposal that covers a whole abandoned lot with greenery. It looks like it might also house a massive compost bin. Impressive! 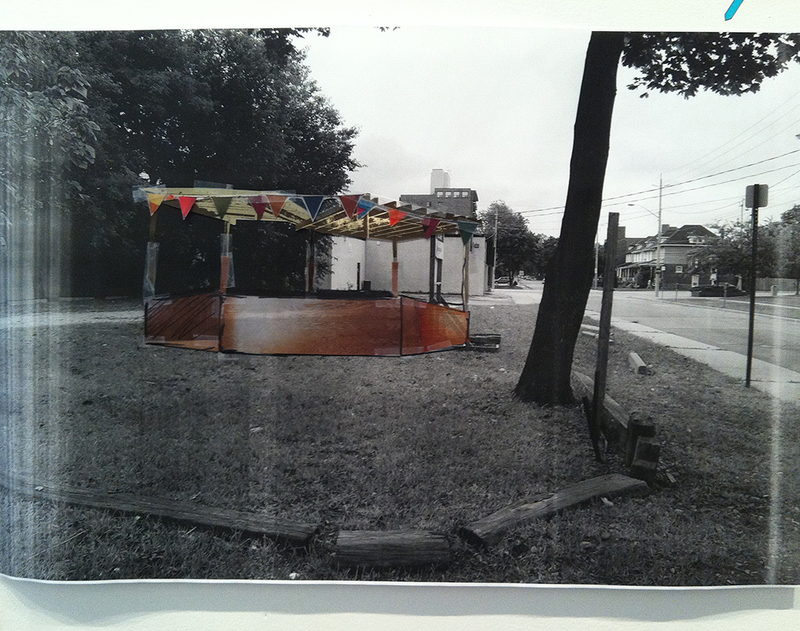 This proposal looks like a fairly substantial gazebo structure or performance stage. 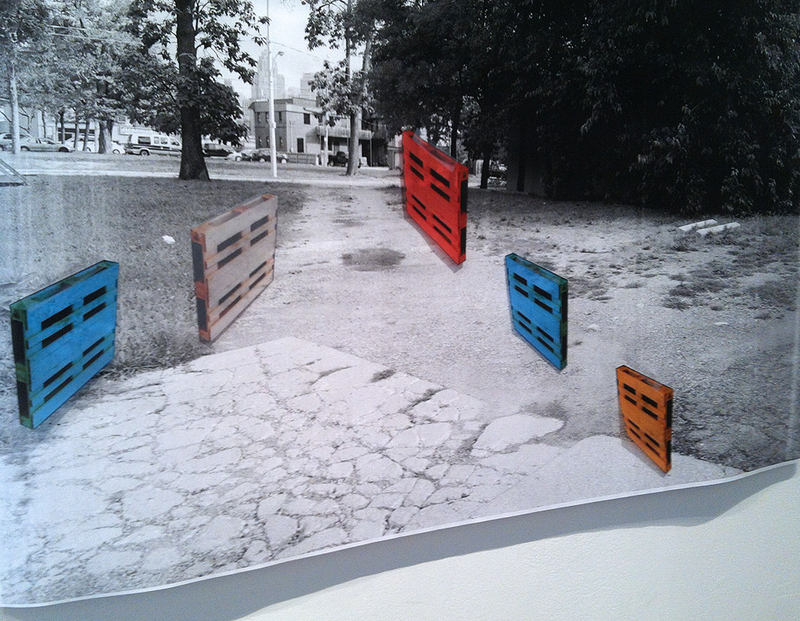 I like the way it works with the shape of the railroad ties pictured beneath it. There’s more to come, so please join us for the second day of Desire and the City on Saturday, September 14th from 1-4pm at CIVIC Space. Don’t forget to register here. Hope to see you! We’re pleased to announce a month-long series of workshops here at CIVIC SPACE that will explore the pace of our automotive city and how we might slow it down with our actions and transportation choices. 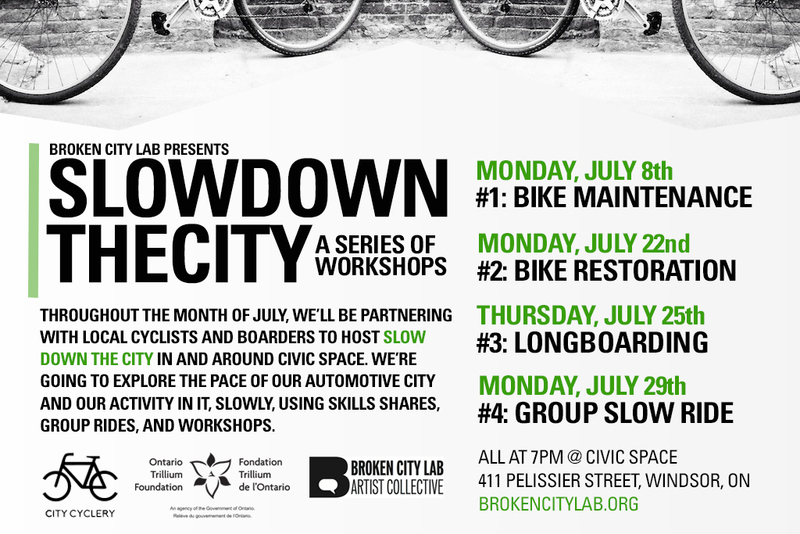 We’ll be teaming with with local bike co-op City Cyclery and local longboarder Troy Linton to host four events throughout the month of July that will use skill sharing and group rides to open a dialog about the pace of Windsor. All Slow Down the City events are free and open to everyone. Bring your bike, board, or come without. Looking forward to seeing you there! 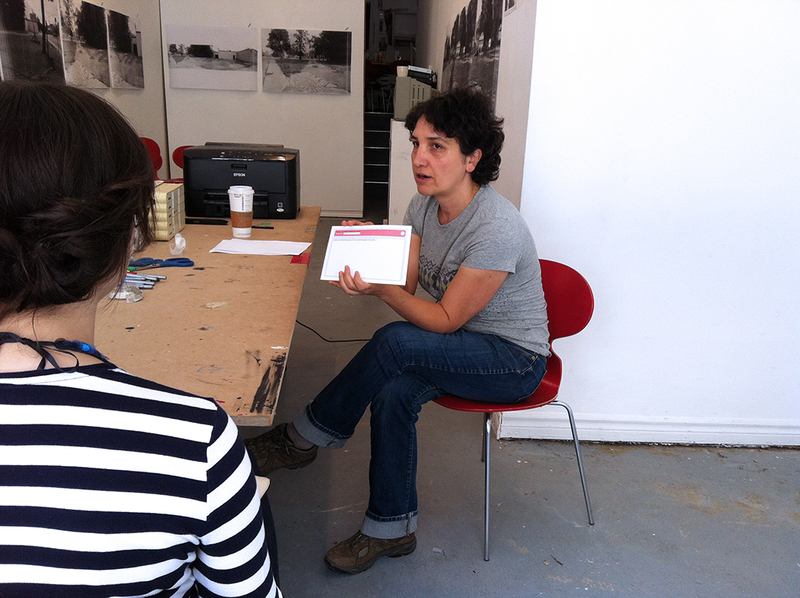 Silkscreen Power with Mary Tremonte: This Tuesday, 4pm at Civic Space! We are proud to be involved in Windsor Youth Arts Week 2013, this city’s contribution to National Youth Arts Week, a weeklong celebration of creativity in Canada. Windsor Youth Arts Week will provide an opportunity for youth ages 13 to 30 to express and exchange ideas, get excited about creative activity, and celebrate their contributions to their communities and to Canadian culture. 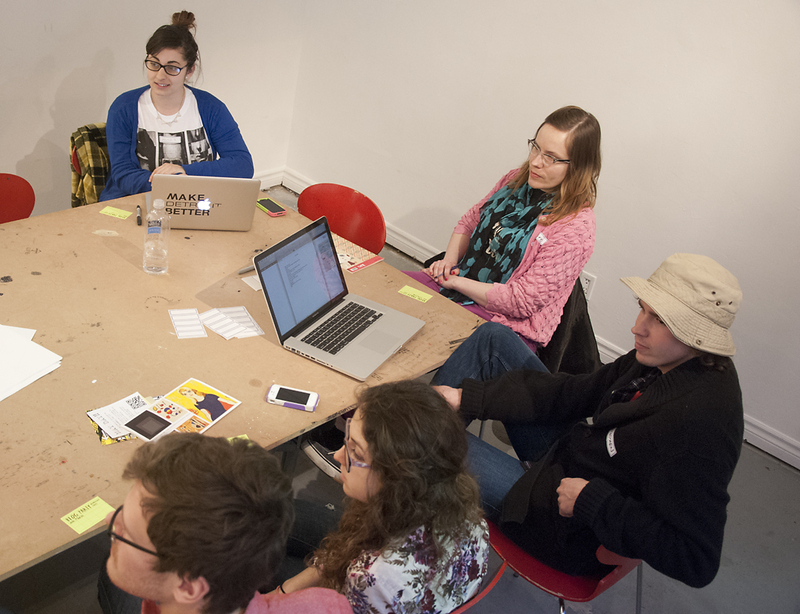 On Tuesday, May 7th, join Mary Tremonte, Justseeds Artist Cooperative member and current Broken City Lab artist in residence, as she reveals the magic of silkscreening, using posters, bandanas, pennants, and t-shirts as canvasses. Also, feel free to bring your own materials for printing (t-shirts, etc.)! 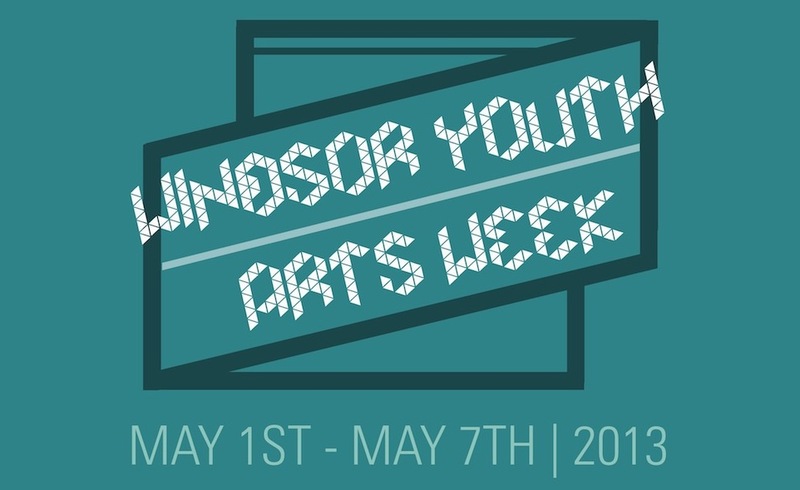 To view a list of the other events happening during Windsor Youth Arts Week, please visit here. 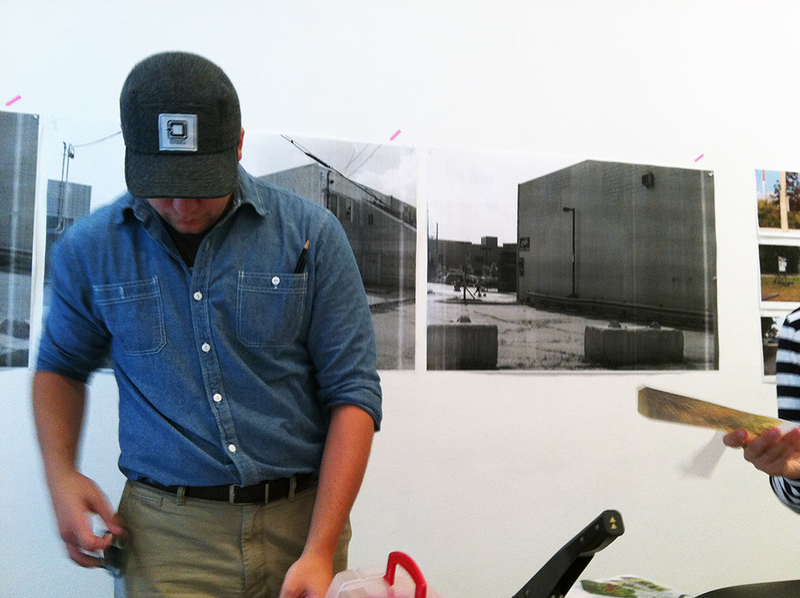 Last Friday, Mike DiRisio, University of Windsor MFA candidate and artist behind the pop-up free store project Common Goods, stopped by to run a workshop on the art of the perfect object photograph. 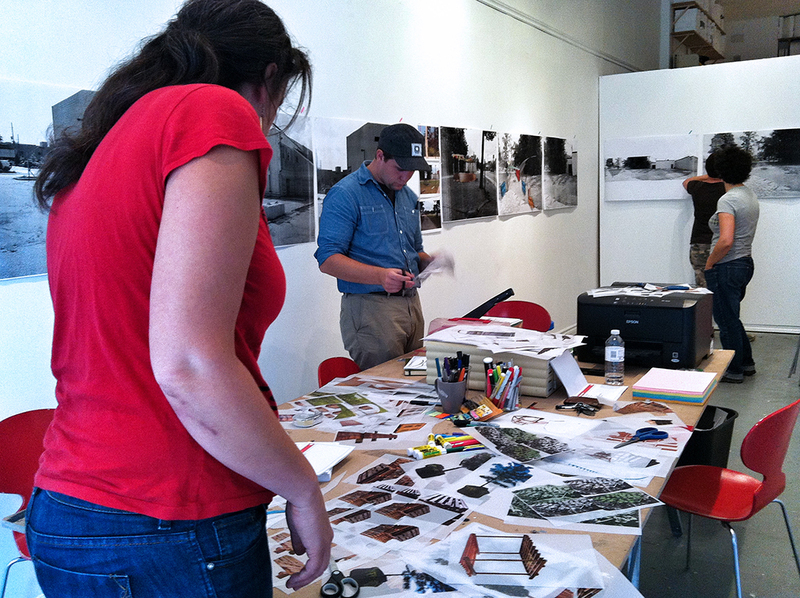 He started with a handful of found objects and led us through the process of studio setup, photography, and editing. 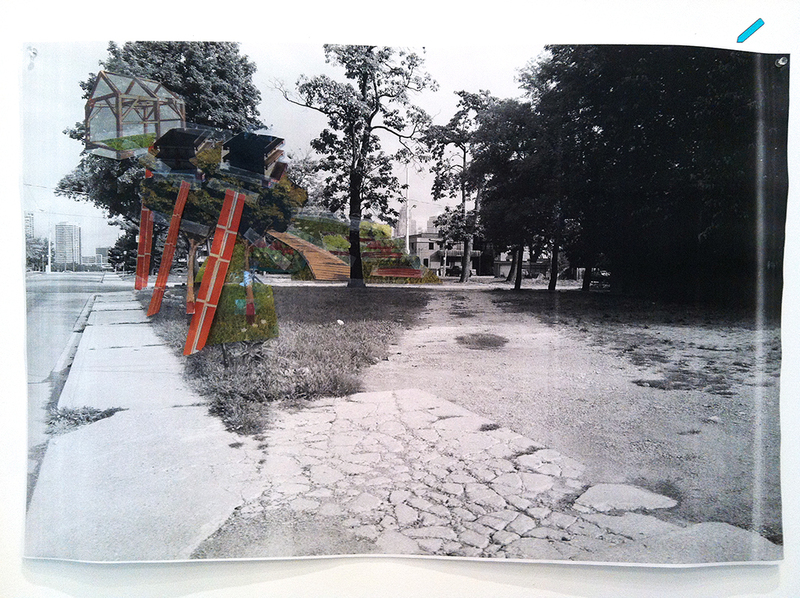 All of this was informed by the photographic work he did to showcase the objects donated to Common Goods. 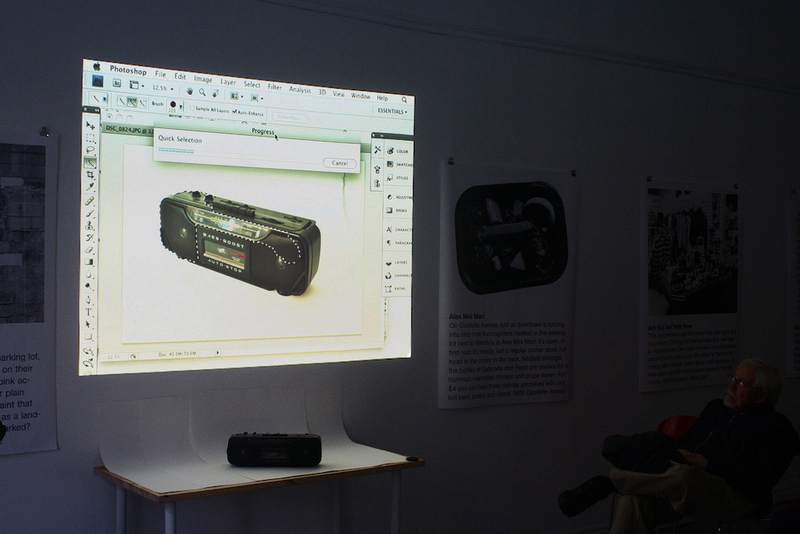 Mike did a demonstration of objects that would be easy and difficult to retouch using his method in Photoshop. Because of the contrast between the radio and his white paper background, this example was the easiest. 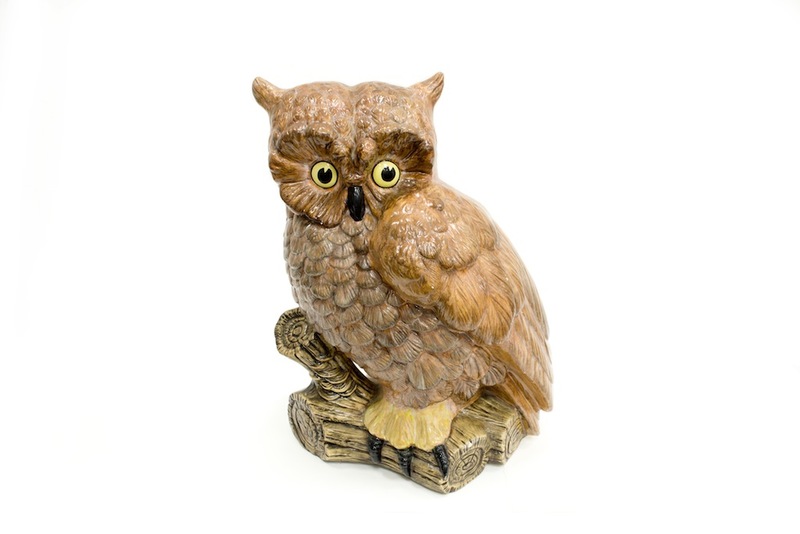 Common Goods is a project that creates a forum for the free exchange and circulation of used goods – everything from books to sofas to ceramic owls. 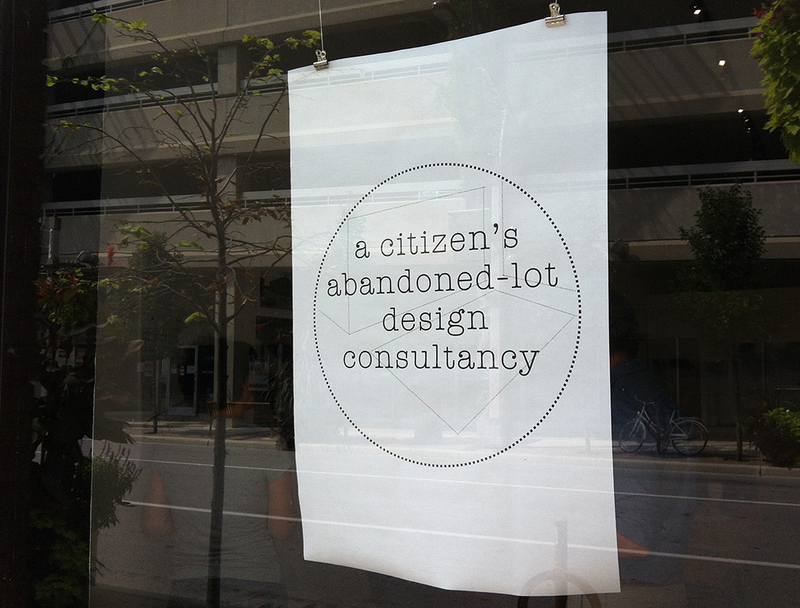 All items that come through the Common Goods pop-up free stores cease to be owned, however, and are redesignated as common property (meaning not the possession of a single individual). The drop off location is in the Lebel Building at the University of Windsor (click here for map and instructions). You can also email Mike to arrange a pick-up time. 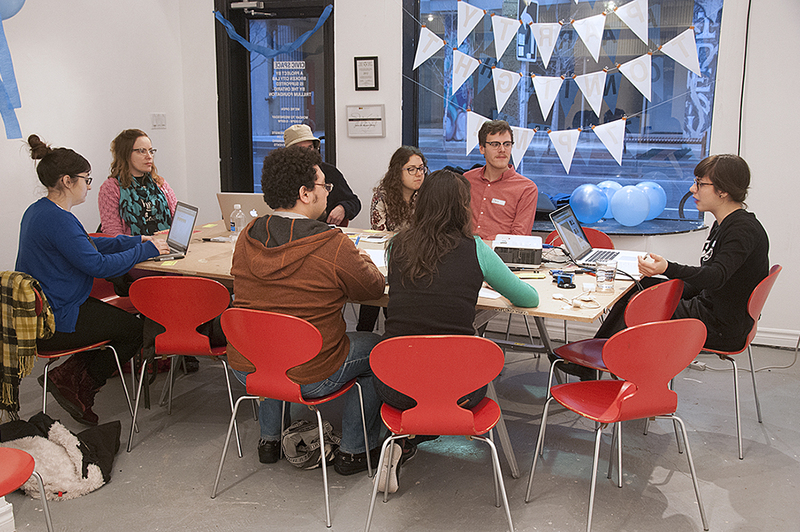 We’re very excited to announce a new biweekly blogging night, Blog Party, starting Thursday, April 11th here at CIVIC SPACE! 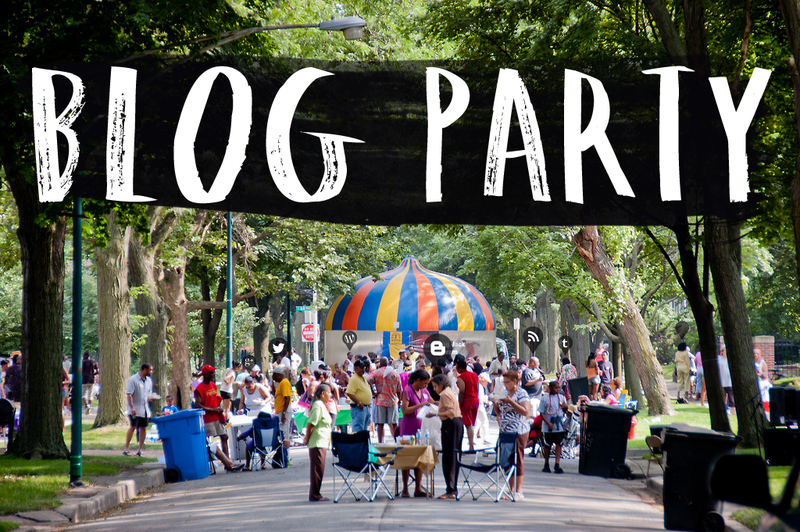 Blog Party aims to bring together local bloggers to discuss ideas, inspiration, and issues in the city and beyond, providing a time and space for writing, learning, and creating together, regardless of skill level. Hosted by Sara and Josh, Blog Party is both an opportunity to learn and teach, and ultimately make great blogs. Blog Party works like a pot luck — you bring something you know how to do, and everyone else gets to sample it — together, we’ll learn how to blog better, faster, and smarter.